The following article was published on 5 November 2015 by the LDS Living Staff in the online edition of LDS Living magazine. 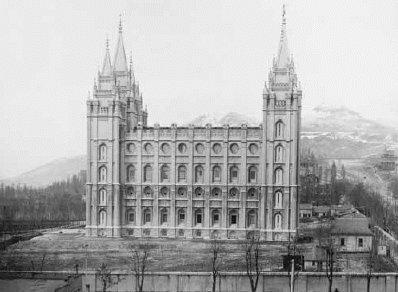 Did you know that there were special dedicatory sessions of the Salt Lake Temple set aside just for children? Images from byustudies.byu.edu, from Wallace B. Broberg and Richard Neitzel Holzapfel.